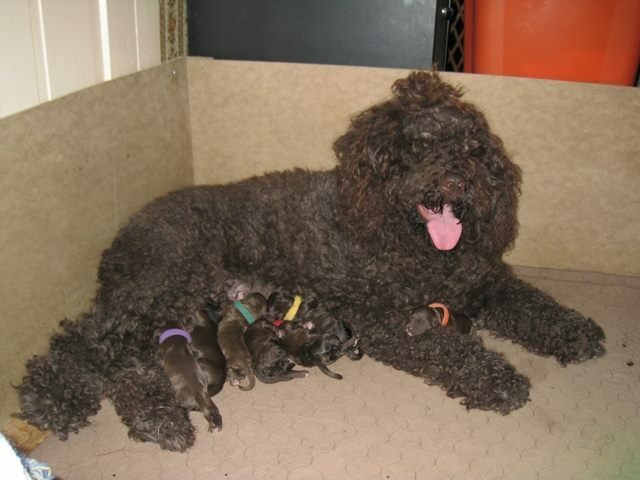 MBPIG CH.Vegas Biscay’s for Butterblac CGN has given birth to seven brown puppies. Two boys and five girls. Proud father is Cinna di Barbochos Reiau de Prouvenco. For more info visit – Biscay Water Dogs.